Is there a musical life for me after high school? What place might I have in Canada’s professional and amateur musical communities? What are my options for keeping music in my life? The Wellington Wind Symphony has a story to share with you; a story that might help you answer these big questions. We invite you to use the ideas and resources on this website to connect your musical life at school with the world of possibilities that music opens up to you in life. 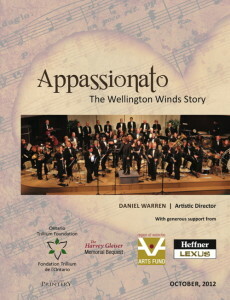 This website is a companion to our DVD, Appassionato: The Wellington Winds Story and our Wellington Wind Symphony YouTube Channel. 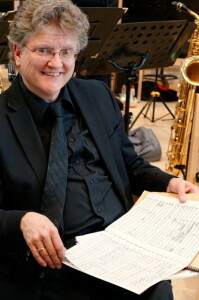 WWS Music Director Dan Warren. There is a great deal of evidence that music education has many collateral benefits for students. And now we know that playing music is great for the brain! We, the musicians of the Wellington Wind Symphony, have made music a part of our lives. Many of us discovered our instruments and our passion for music in high school. We want to engage you in thinking about the role of music in your lifetime.